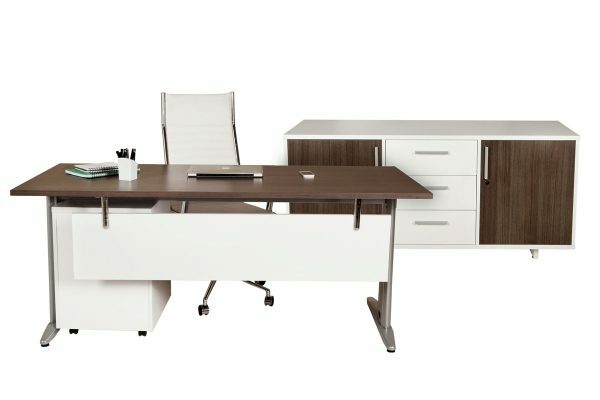 The Kent Series Executive Desk & Buffet set is available in a left or right hand configuration – determined by which side the buffet is on when seated at the desk. A stunning new Executive Suite in White High Gloss desktop, doors and drawer fronts with Matte Grey buffet carcass. 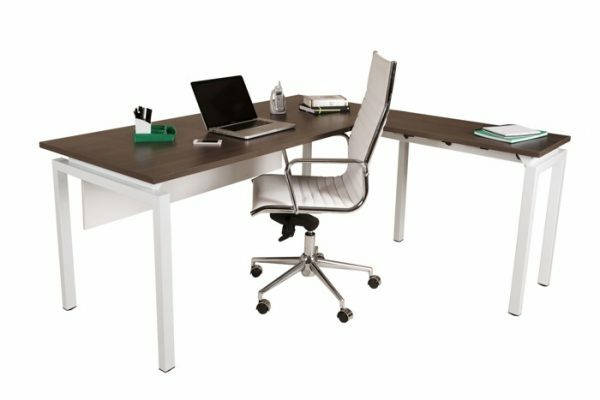 This commercial quality rated executive desk set features extra thick 40mm thick desktops, charcoal powdercoated metal features and is a winner in a modern corporate office or equally for home office use. 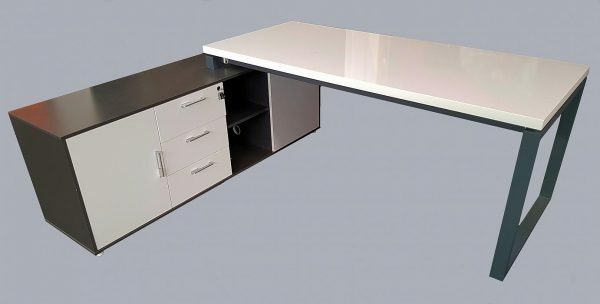 Complete with generous 1800 L X 565 D side buffet with 3 inset drawers and additional storage areas as shown. 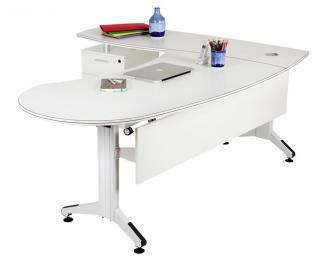 Desktop size is 1800 W X 800 D with Matte Grey modesty panel and designer white square end leg. 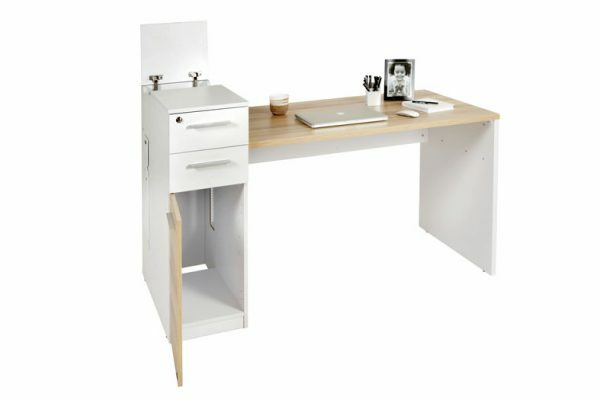 Please refer to the line drawing for additional dimensions. 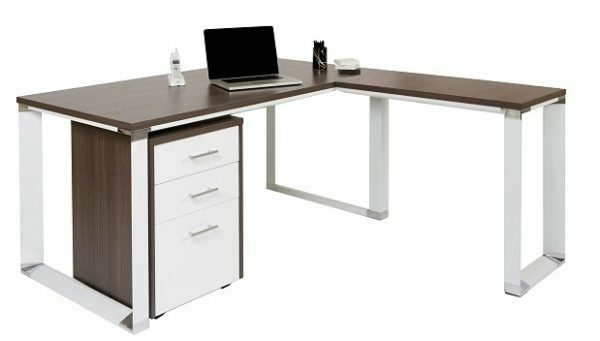 The Kent Series Executive Desk and Buffet set is available in a left or right hand configuration – orientation is determined by which side the buffet is on when seated at the desk.